Pretty holiday apartment with open fire directly on the slopes. House Jacquelin is located at the top of the Silbertal directly near the ski runs. 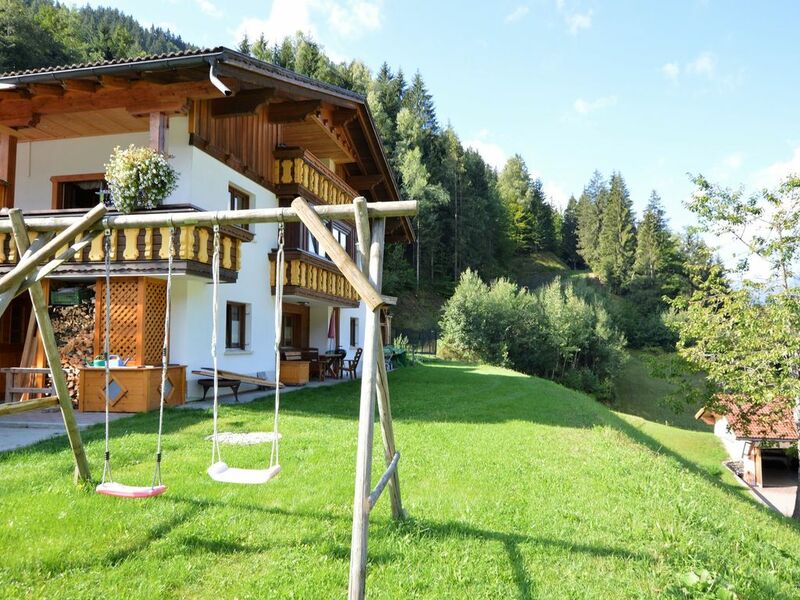 The holiday apartment is on the ground floor of the house with communal entrance, and consists of two bedrooms, a bathroom, kitchen-living room with open fire and terrace with beautiful views on the mountain landscapes of Montafon. The ski lift is only 300 m away. The ski bus stops directly in front of the house. In the immediate proximity there are also beautiful langlauf, Nordic walking and snow shoe paths. In summer there are beautiful walking and mountainbiking paths. House Jacquelin is a terrific address for a relaxing holiday in the unspoilt nature. we were in the spring in this house with 4 adults and 1 child. This house is ideal for skiing, right on the ski slopes from the house you down and you take it directly to the elevator. Super clean and tidy house, a kitchen with all the trimmings. Large bedrooms so we could just lay next to an air bed in the bedroom. The only thing less, you are missing a nice chair or bench. Especially if you sit in the house at night and you are then you should just sit back and that's not really belong. But otherwise a good home. Für mich ging aus der Beschreibung nicht hervor, daß ein Zimmer sozusagen außerhalb der Ferienwohnung liegt, aber natürlich ganz nahe. Die Vermieter waren fast unsichtbar, was angenehm war. Allerdings waren die Mülltüten nach einiger Zeit sehr voll und da erwarte ich schon, daß sich Jemand kümmert. Ansonsten waren wir sehr zufrieden, hatten super Schnee, konnten mit den Skiern bis ans Haus fahren, die Kinder hatten Spaß im Schnee. Sehr hat mich beeindruckt, als abends die Pistenraupe direkt am Haus vorbeifuhr. Das Skigebiet ist sehr schön und riesengroß. Voor skiërs is dit een ideaal appartement, je stapt zo de piste op. Het is niet groot, keuken compleet uitgerust. Verdere voorzieningen zijn matig tot slecht te noemen. De eigenaren zijn verre van gastvrij, ze staan je liever niet te woord. Silbertal/Vorarlberg is een mooie omgeving en we gaan zeker nog een keer terug, alleen niet naar dit adres. Let op badlinnen aanwezig, maar wordt niet gewisseld. Eindscore voor ons appartement slecht, vakantie (omgeving, restaurants, etc) goed. goede keuken, goede bedden en een prima douche. locatie is centraal en de mogelijkheid om voor de deur op de latten te staan.